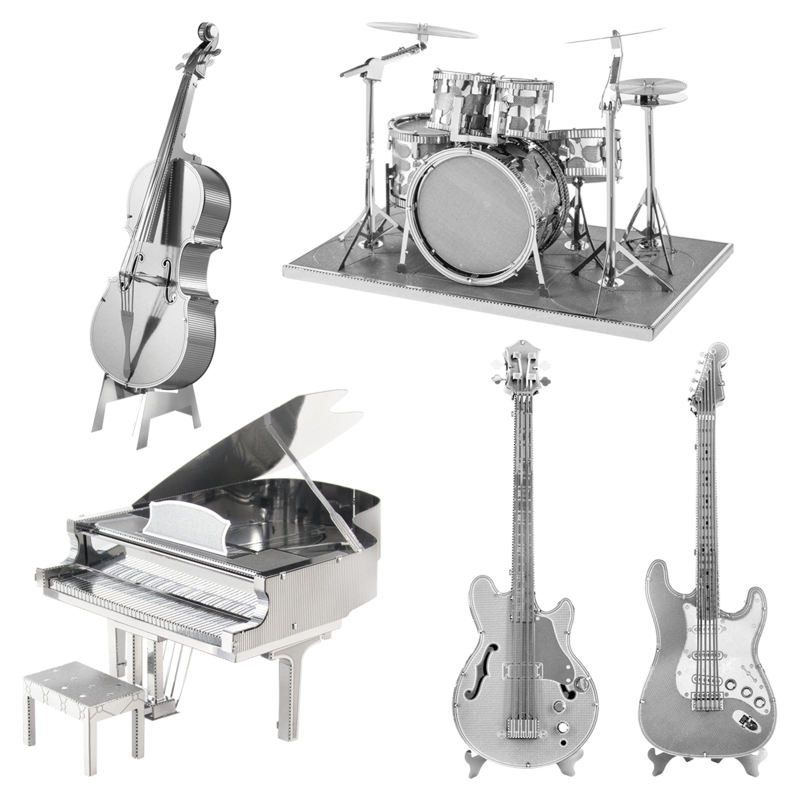 Musical Metal Earth models are small-scale replicas of several musical instruments. 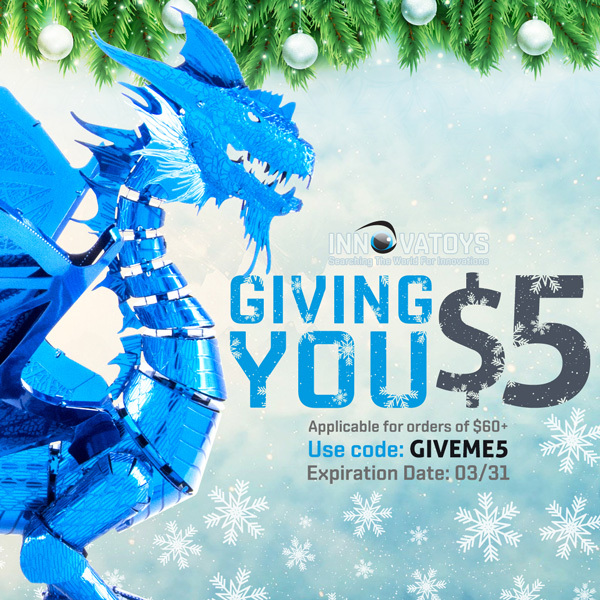 InnovaToy’s Musical set includes these following 5 models: Bass Fiddle, Drum Set, Grand Piano, Electriv Bass Guitar, and Electric Lead Guitar. 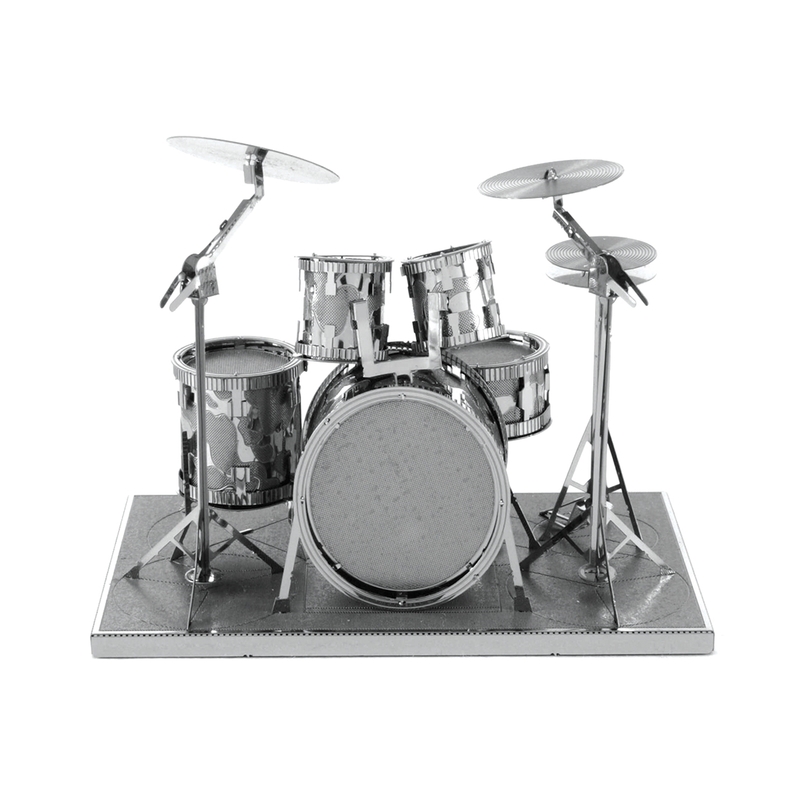 Metal Earth Drum Set model kit is an amazingly detailed etched model that is fun and satisfying to assemble. It starts as 2 4-inch square steel sheets and finishes as a 3.20" x 2.15" x 2.03" 3D model. Simply use the easy-to-follow instructions included with the sheet to pop out the pieces, bend the tabs, and connect them at the attachment points. No glue nor solder required. 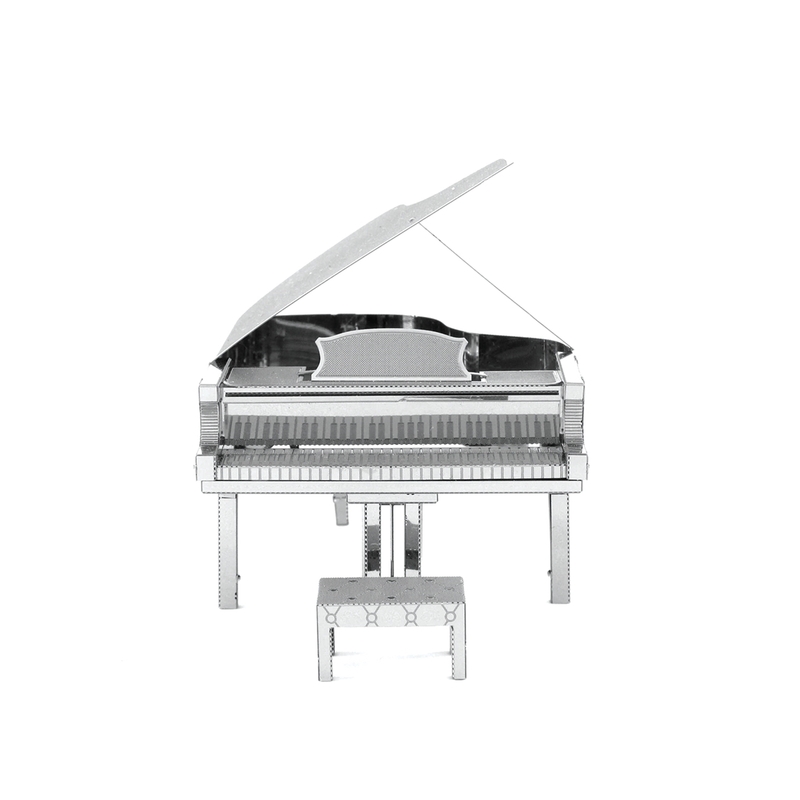 Metal Earth Grand Piano model kit is an amazingly detailed etched model that is fun and satisfying to assemble. It starts as 2 4-inch square steel sheet(s) and finishes as a 2.93" x 2.30" x 2.65" 3D model. Simply use the easy-to-follow instructions included with the sheet to pop out the pieces, bend the tabs, and connect them at the attachment points. No glue nor solder required. 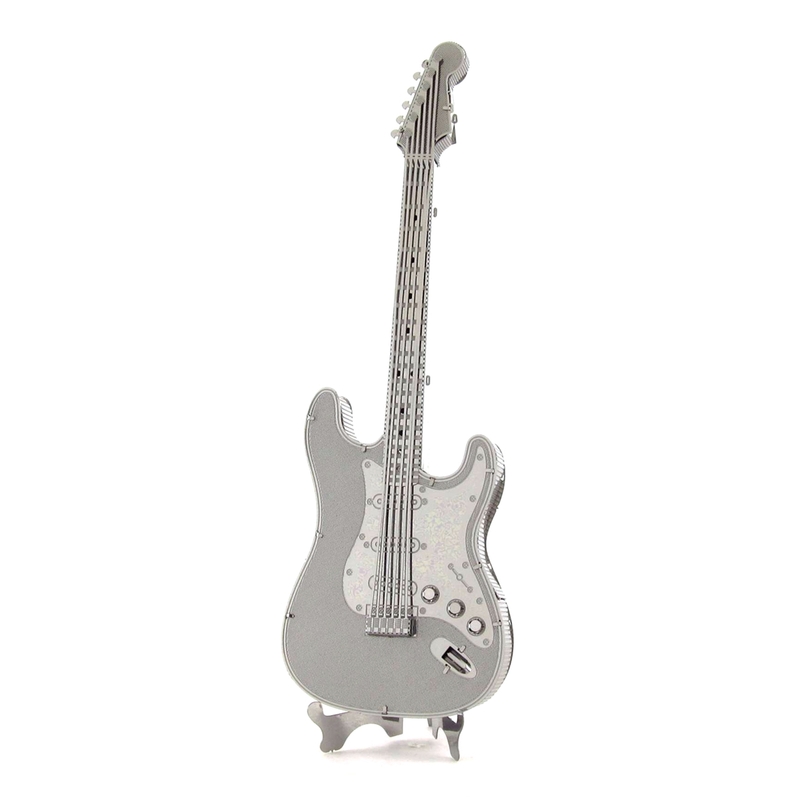 Metal Earth Electric Lead Guitar model kit is an amazingly detailed etched model that is fun and satisfying to assemble. It starts as a 4-inch square steel sheet and finishes as a 4.45" x 1.52" x 1.25" 3D model. Simply use the easy-to-follow instructions included with the sheet to pop out the pieces, bend the tabs, and connect them at the attachment points. No glue nor solder required. 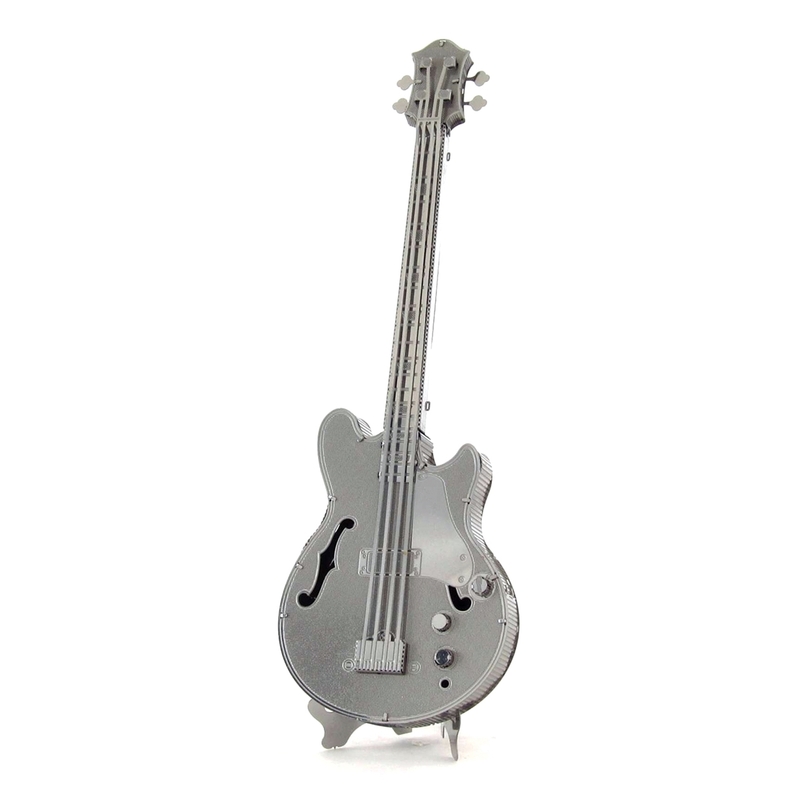 Metal Earth Electric Bass Guitar model kit is an amazingly detailed etched model that is fun and satisfying to assemble. It starts as a 4-inch square steel sheet and finishes as a 4.52" x 1.56" x 1.25" 3D model. Simply use the easy-to-follow instructions included with the sheet to pop out the pieces, bend the tabs, and connect them at the attachment points. No glue nor solder required. 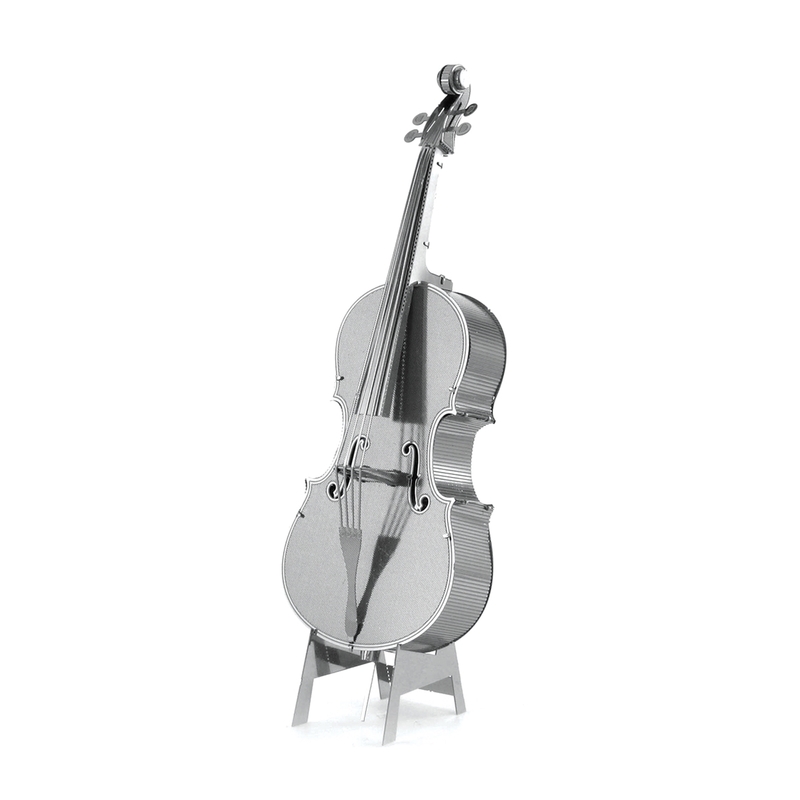 Metal Earth Bass Fiddle model kit is an amazingly detailed etched model that is fun and satisfying to assemble. It starts as a 4-inch square steel sheet and finishes as a 1.44" x 0.86" x 4.56" 3D model. Simply use the easy-to-follow instructions included with the sheet to pop out the pieces, bend the tabs, and connect them at the attachment points. No glue nor solder required. Metal Earth Windmill model kit is an amazingly detailed etched model that is fun and satisfying to assemble. It starts as 2 4-inch square steel sheets and finishes as a 3.90" x 1.76" x 2.03" 3D model. Simply use the easy-to-follow instructions included with the sheet to pop out the pieces, bend the tabs, and connect them at the attachment points. No glue nor solder required. 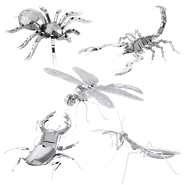 Bug Metal Earth models are small-scale replicas of insects. InnovaToy’s Bug set includes these following 5 models: Tarantula, Scorpion, Dragonfly, Stag beetle, and Praying Mantis.